Today we're giving a shower for my nephew and his fiance'. So super excited for him getting married next month. He's the oldest of three and I am really proud of him that he's not "settled" but waited for that special lady to steal his heart. We decorated last night and oh my it was so funny listening to everyone on what to do where, but I am proud to say the room looks awesome! I mean come on, it was a bunch of women with different ideas but in the end the many ideas worked perfectly. Looking at the pictures we used clearly show me the love these two have for each other. My very favorite were the ones at Clemson University where my nephew went to school. Lots of orange but more importantly the love between these two was more colorful than any shade of orange. Speaking of orange, I hope it blends well with red and black as my niece to be is a Georgia Bulldog alum. 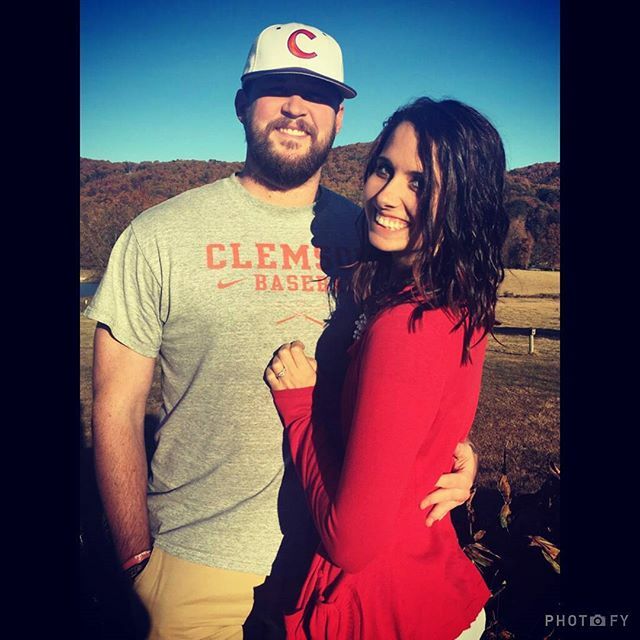 It may be a house divided when it comes to the Clemson Tigers and the Georgia Bulldogs but one thing for sure there is no division of the love these two share. Congratulations Caleb & Cayla. Prayers for ya'll as you start this new chapter of your lives together. Now ya'll get a move on and do something fun today!!! I certainly am.